It's a thing these days to talk about how perforations in stators or otherwise magnet arrays in planars affect airflow, hence the acoustic transparency of the driver but this this has not scientific backing. It's well known that airflow resistance starts to play a role when the perforation diameter is really smaller (<1mm), google up micro-perforated panels for instance. For the headphones we deal with, this is mostly hogwash I feel and I am convinced the physics involved have to do with something else such as the effective absorber properties of the perforated panel, horn effect (anything placed in front of a moving membrane can affect how effectively it radiates), and possibly sound diffraction / reflections effects toward higher frequencies. 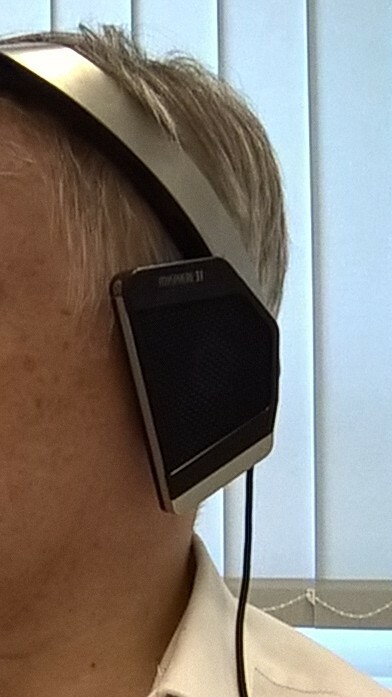 Now, what I find more interesting / pertinent in the discussion is the formation of standing waves in the headphone enclosure (on both sides of the moving membrane). Since these start to occur in a critical part of audio range (>2kHz), we can imagine why a headphone is so much more than just a driver, down to influence of slight change in the pad design. As you pointed out above, even without pad, just having a rigid diaphragm (e.g. electrodynamic driver) in a baffle at some distance parallel to the head does not prevent acoustic resonances in that air gap (laterally and eventually in the depth direction). The "lateral" resonances shift in frequency if the pad is closed / open / non-existant (like those resonances in a pipe depending if its open or closed at its ends) but they still exist. The mysphere headphone feels closer to an on-ear design than over ear and I guess the foam pad in front of the driver provides quite a bit of liberty to voice the headphone. Hi Arnaud – nice surprise to meet you here! Scientifically backupped or not – it's my conviction based on own experiments, primarily with speakers in this case. Put a metal grid in front of a tweeter, and you'll hear what I mean. Even worse if it has just the openness (total area of the holes relative to the whole grid surface) of a typical electrostatic electrode. Another descriptive example are compression drivers, usually combined with a horn. If you leave the horn away, the sound becomes thinner and brighter. If you leave the compression element away, the sound becomes «normal» again, but much quiter. And much smoother, as it lacks the metallic sharpness that was present before. You can't deny that air acceleration through holes with sharp edges causes turbulences – which are prone to make the sound harsh in my experience. However, that's just one aspect of electrostatics' problems. The other one may have even more weight: the double metal plate in front and at the back of the membrane. They cause massive reflections on them and between them. Think standing waves between the stators and between stator and head/ear. Years ago I had a great listening experience with a prototype pair of plasma tweeters. Although the intergration to the system seemed somewhat lacking, the openness, spatiousness, airiness and effortlessness was breathtaking. I never heard a tweeter sounding as natural as this one again – because it was never produced. Some time later I had the opportunity to audition a prototype pair of Magnat's plasma tweeter, the flame encapsulated in a fine spherical metal grid. It sounded good, no doubt, but had a slight metallic sheen to it and lacked the naturalness and openness of my previous encounter. The final version was presented at a hi-fi show. Instead of just one metal grid it had three of them, each within the other – it had turned out necessary to shield the flame against the emission of radio waves and ozone. Now to my ears this tweeter had lost all of its justification, the sound was more metallic and unnatural than any metal-dome tweeter I had heard to date. Did you know that in the sixties and seventies many of the German speaker manufacturers used sheet metal as front guards for their speaker boxes? 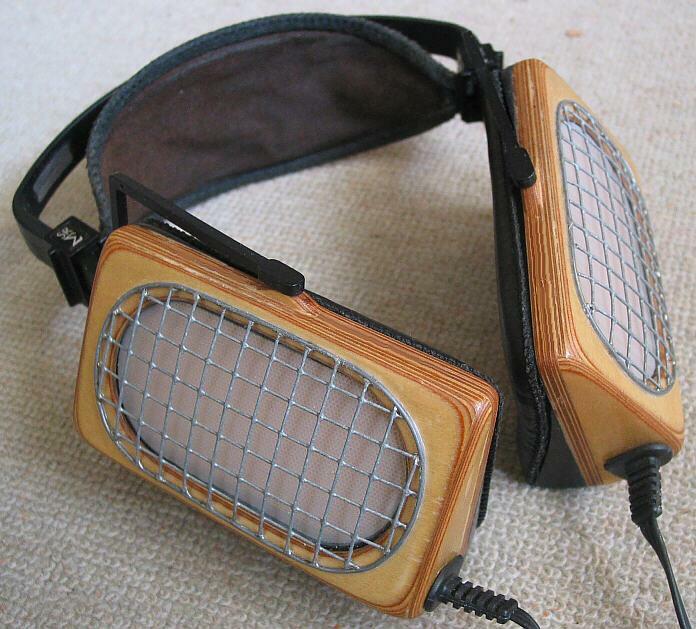 By and by they learned how bad this was for the sound – German speakers had the reputation to sound technical – and changed over to textile front covers, which was indeed beneficial for the sound – and their reputation. In my book the Mysphere is even farther away from on-ear headphones than typical open over-ear headphones – in that it enables the pinna even better than the latter to decode the spatial information from a soundfield that's less polluted by near-field reflections and the shell effect. On-ear headphones on the other hand barely involve the pinna as a decoding instrument – that's the main reason why they sound so «close». The next increase in this direction would be IEMs. 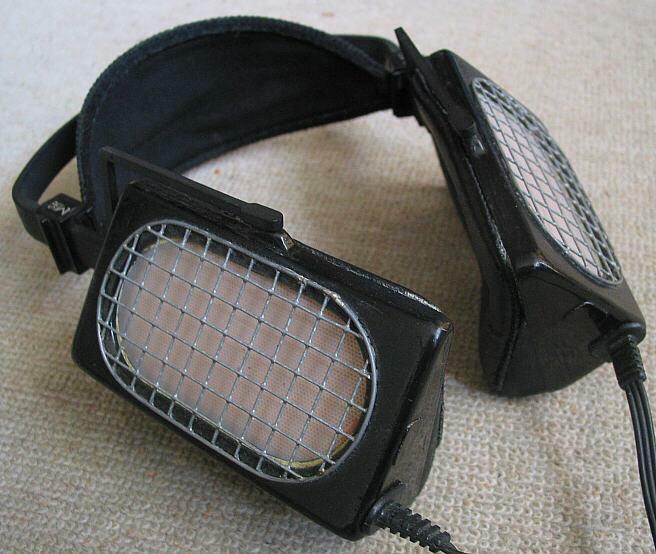 Was available in 80's from French Audio Reference company. did they even sell one? Few hundred made - $2000. yeah from that article. have you seen one? 3) Linearity of HF modulator - if using RF he needs an AM (amplitude modulator). Magnat used a plasma tweeter past time ago, but we could them smell. FritzS The "Power of The Blue Danube"
Matrix Petka and Narayan23 like this. bozebuttons, Matrix Petka and hrklg01 like this. Thank you for the quick overview, It's like you described the acoustic project targets. Heh, might be my next headphone. At last friday, i had the great pleasure to hear this ultimate piece of personal sound projection at LB-acoustics Messgeräte Headquarter in Vienna, Austria. They are looking awesome, the comfort for me was after a while really very, very good. At first minutes, i had a little problem with deepest bass, but later and later was everything just right ! The bass texture, fantastic naturality of voices, neutrality. the sound panorama is phenomenal. The most open headphone or headspeaker which i heard. to the fantastic cosmos of music. FritzS and Matrix Petka like this.